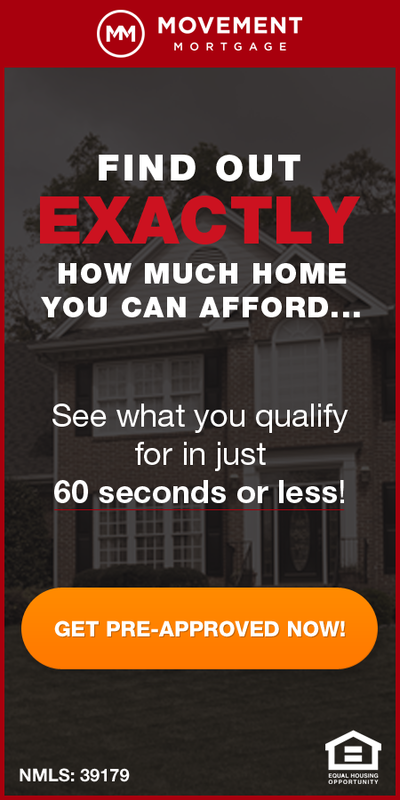 There were 4,140 building permits issued for new homes in the St Louis area during 2018, a decline of 3.16% from the year before when there were 4,275 permits issued, according to information just released by the Home Builders Association of St Louis & Eastern Missouri (St Louis HBA). The number of permits issued for new homes during 2018 was just slightly down from 2016. 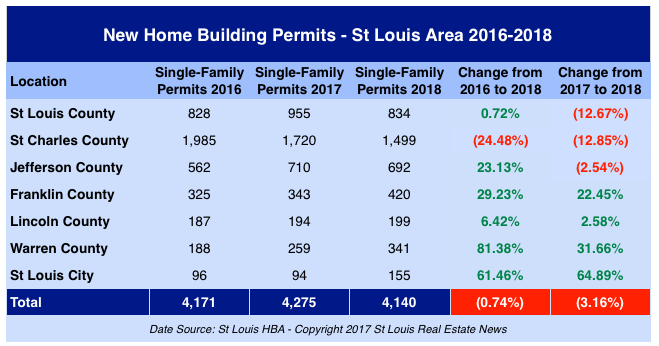 As the table below shows, St Charles County has seen the largest decline in new home construction with 1,499 new home permits issued in 2018, down 12.85% from the year before and decline of 24.48% from 2016 when there were 1,985 permits issued. Franklin County, Warren County and the city of St Louis all had significant double-digit gains in building permits issued during 2018 from the year before.